Philips designs, tests and certifies its media to ensure reliability of data and compatibility with a wide range of drives. Philips CD-R recordable media are engineered to give you the highest quality and reliability. 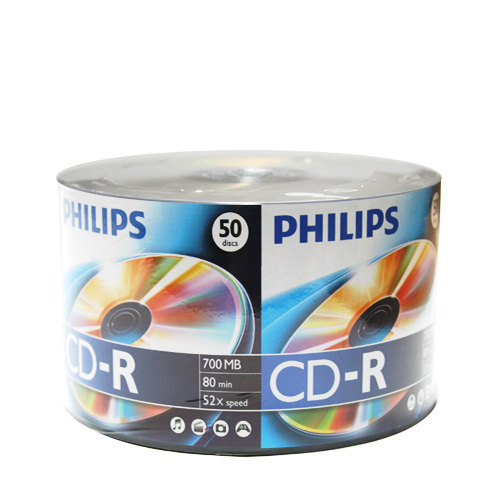 The Philips CD-R is a write once, single sided disc and provides 700 MB of space, which translates to eighty minutes of audio recording time. You can use this disc in 1x - 52x write speed compatible writers. With a life expectancy of up to a Century, they can be counted on for many years of exceptional performance. For immediate customer service assistance with an order or how to return a product, please call 909-248-2725 Monday through Friday 9 am to 5 pm PST. 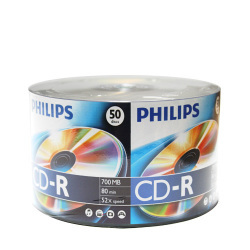 Very good quality CD-R. Used over 200 of these Philips CD-R and no problems at all. Works great and I don't have to pay as much as those other more expensive CD-R. Quality is no problem and I would definitely buy again.